No pricing has been announced, but that shouldn't surprise anyone. Even in the world of Aston Martin special editions, a production run of six is pretty small. But that’s just how special AM wants these Vanquishes celebrating its 60th anniversary to be. 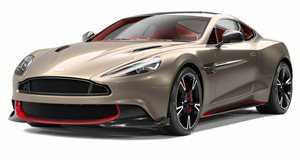 Each of the six is meant to represent a different 10-year period in the company’s history, and they will be made from both Coupe and Volante body styles. 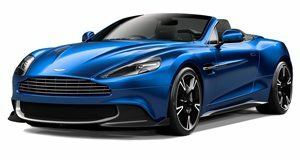 Mechanically the cars are identical to the regular Vanquish, but that’s hardly a bad thing. The special editions will be easily identified by the yellow side strakes and wheels, as well as the 60th anniversary wheels. More importantly, each car will have rotaries for the controls in the center console made from a piston taken from a car of the period that car represents. The engines these pistons came from were taken apart for other reasons, usually rebuilds, so you don’t have to worry about an old DB5 being ripped apart just to make an A/C control knob. AM was very careful to make that point. It’s something you’d probably have to explain to people a lot, but it does make the cars more special.